With more people than ever interested the negative effects of the standard American diet and healthier alternatives, clean eating and detox diets and drinks have become more popular. While detox diets are not intended to be a normal, everyday meal plan, giving your body a break from the sugar, dairy and chemical overload isn’t a bad idea if done properly. Find out where detox herbal tea fits into this equation and how to make it work for you. The word “detox” can have several different meanings, and it’s important to have a clear understanding of what you want out of your detox plan and where a cleansing tea can help. Detox teas can run the gamut from unsweetened caffeinated blends designed to provide an alternative to water while giving you an extra energy boost all the way to diuretic teas that help you shed excess water weight. Fit detox tea is commonly marketed as a nutritional supplement, but it’s important to follow the dosage directions and take a break every few days to avoid overtaxing your body. Is Detox Tea the Same Thing as Herbal Laxative Tea? While some detox teas may have a laxative effect, they are not the same as teas specifically designed for this purpose. Senna is a common ingredient in detox teas, and one of its main side effects is either an increase or decrease in digestive function. This can lead to a host of stomach issues, including stomach cramps, constipation and diarrhea. If you have a sensitive system, it may be best to steer clear of teas containing senna or other ingredients that produce a laxative effect. Laxative teas should also be used for short periods of time to avoid dependence. 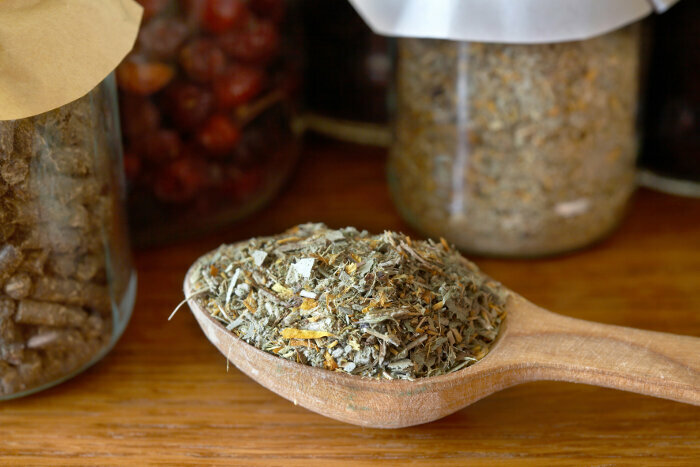 While herbal teas have been used in traditional cultures for centuries to treat a host of issues and promote everyday health, there isn’t much scientific research on the subset of detox teas. While some people may report better skin, more energy, flatter stomachs and weight loss from drinking detox teas, the benefits will depend on the herbs used in the teas themselves. Herbal green tea, a common Chinese tea, is naturally caffeinated so it helps boost energy and alertness, while black tea may help lower blood pressure and prevent kidney stones. Common ingredients like peppermint, licorice and fennel also help keep your digestive system moving and increase mental alertness. What are the Types of Detox Teas? Healthy. These teas are a good choice as an everyday detox tea and complement an overall clean-eating lifestyle. Pukka detox tea blends, for example, are organic, dairy, nut, gluten and caffeine free and include aniseed, fennel and cardamom. Weight loss. If your detoxification plan is more focused on weight loss, you may want to focus on a slimming skinny detox tea like Kaotic detox herbal tea. These comes in a variety of flavors and are best used for a maximum of one week. Cleansing. Teas designed to cleanse the system are more likely to affect digestion and are meant to augment the body’s natural filtration system, namely the liver, kidneys and intestines. Detox teas come in many forms, including prebrewed and bottled, concentrate, tea bags and loose leaf. Which of these is best for you largely depends on your lifestyle and how you prefer your tea. 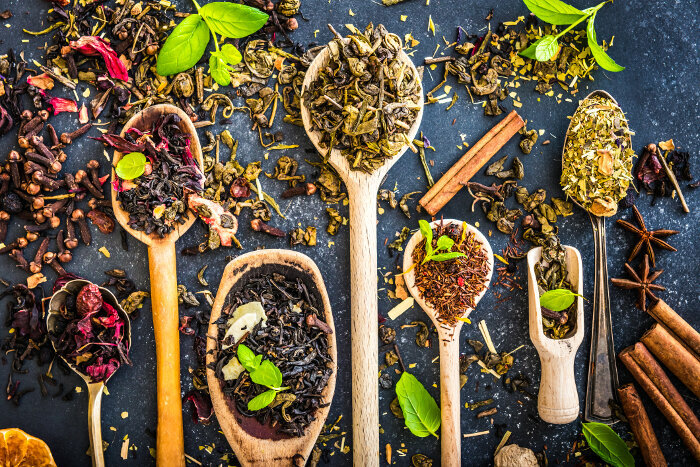 Those looking for a grab-and-go beverage may prefer prebottled teas, even though they may cost a bit more, while those who like to have control over the process may gravitate toward loose leaf herbs. Detox teas can help you get a fresh start on a healthier lifestyle or act as an intermittent wake-up call to your system, but it’s important to be vigilant about ingredients, respect your body’s response and get a doctor’s OK if you have any preexisting health concerns.